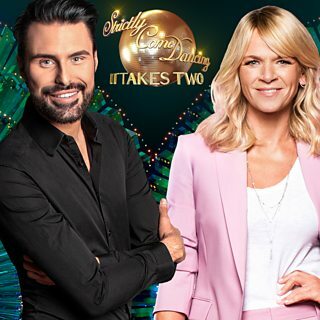 We are pleased to announce that Rylan Clark-Neal will be joining It Takes Two! He will share presenting duties on the programme with Zoe Ball when it returns for Strictly season later this year. Zoe shared the news with listeners on her BBC Radio 2 Breakfast Show this morning, when Rylan called in as a surprise guest. Darcey Bussell said: It has been a complete privilege for me to be part of Strictly, working with such a talented team. I have enjoyed every minute of my time and will miss everyone from my fellow judges, the presenters, the dancers, the musicians, the entire back stage team, and especially the viewers of the show, who have been so supportive. Our pro line-up for 2019 revealed! Today we can confirm our line-up of professional dancers for the 17th series of Strictly back on BBC One in the Autumn. AJ was born in Stoke-on-Trent and in 2015 he won one of the biggest championships in the world to become British Open Youth Latin Champion and European Youth Latin Champion. Prior to this, he was National Youth Latin Champion for three years in a row from 2012-2014. 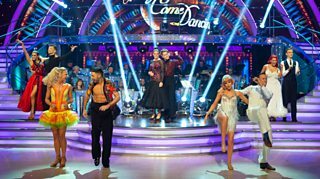 AJ has been part of Strictly Come Dancing for three series and has made the semi-final every year, with celebrities Claudia Fragapane, Mollie King and most recently Paralympic athlete Lauren Steadman. Stacey and Kevin win Strictly 2018! 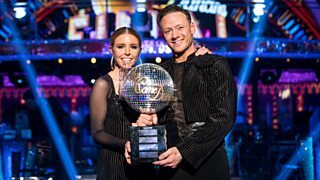 From documentary star to dancefloor star, Stacey Dooley has smashed the competition and won Strictly Come Dancing 2018 with her Pro partner Kevin Clifton! Get ready for the 2018 Grand Final! You already know what time it is... It's time for the Strictly 2018 Grand Final! For the past 13 weeks, our couples have been dancing their socks off in the hope of getting this far - and that dream has now become a reality for our four fabulous Finalists. Songs and Dances revealed: The Final! After 13 weeks of sequins, sparkles and spray-tans, the time has finally come for one of our Strictly couples to lift the coveted Glitterball. It's sure to be an action-packed week as each couple tackle not one, nor two but THREE dances! A Showdance, a Judges' Pick and the couples' favourite dance. We're revealing the first two dances below, but be sure to tune-in this Saturday, to find out the couples' favourite dance AND who will be crowned the winner of Strictly Come Dancing 2018! No one wants to leave the competition at this point, but tonight it was Lauren Steadman's turn to take her last bow as she narrowly missed out on a place in the Strictly 2018 Final. 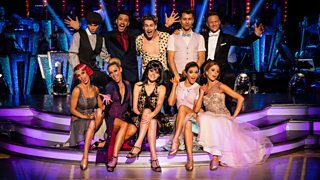 Who will go through to the Strictly 2018 Final? Five couples are left in the competition, but only four can go through to next week's 2018 Final. Last night we saw each pair fight for their place by performing two incredible dances, but have they done enough? It was double the pressure this week as our five pairs had to dance two routines each in order to impress the public and the judges for a place in the Grand Final. Ashley and Pasha and Faye and Giovanni both came out on top, each with a combined total of 76. A powerful Paso Doble from Ash and Pash scored 36, and they went even further with their American Smooth getting the maximum 40 points. The judges gave 37 points to Faye and Giovanni’s Samba, and their Argentine Tango wowed them even more with a score of 39. Are you ready for some Semi Final fun? Just in case you didn't already know which week it is, we're here to remind you it's... *drumroll* Semi Final time!